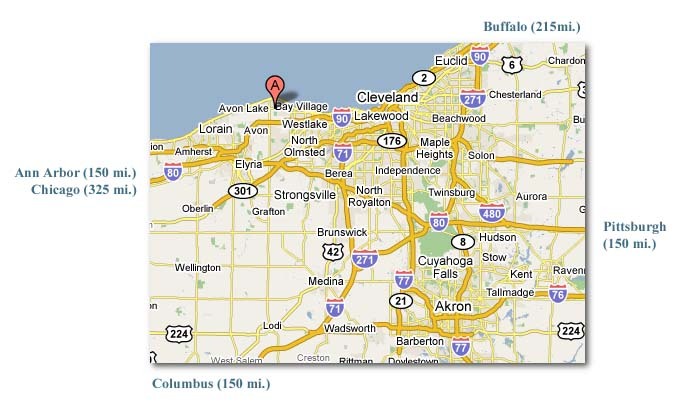 We are located in Avon Lake, Ohio, about 20 miles west of downtown Cleveland and less than a mile south of Lake Erie. Not enough information to get you here, right? Because seating is limited, advance reservations are always required. Complete directions are provided via email or USPS once we have received payment for your reservation. We cannot accept guests who have not contacted us.